Hari V. Krishnan, CEO of the PropertyGuru Group, talks challenges and strategies for Southeast Asia’s market-leading online property portal. 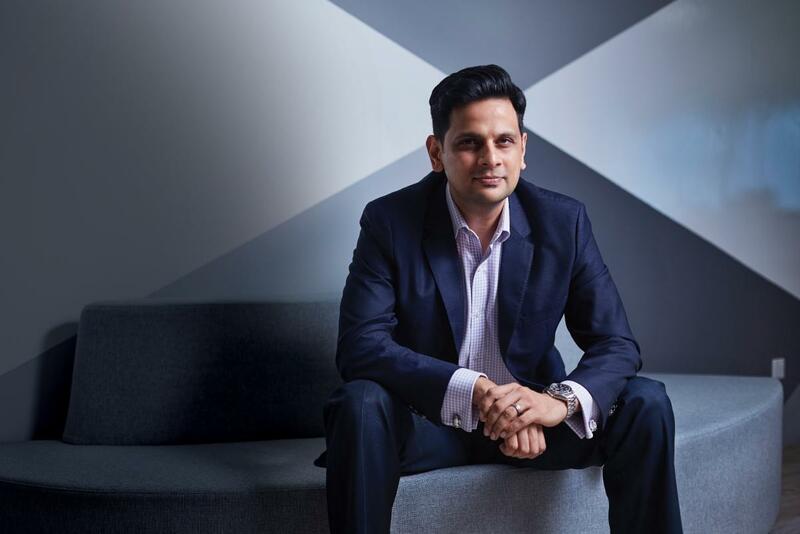 In this exclusive Q&A, we chat with Hari Krishnan, CEO of the PropertyGuru group – Southeast Asia’s market-leading online property portal. You’ve spent your entire career in technology. What made you decide to move to PropertyGuru Group in January 2016? When technology is used to help a genuine pain point, that’s when it’s the most fun. Over the last dozen years, I’ve been helping offline industries go digital, whether it’s been in music, travel, entertainment, recruitment and business-to-business marketing. In each of these cases, it was an industry that was more comfortable operating offline and I became part of the journey helping them move online and go digital here in Asia. When I looked at property, I saw that it was an industry that was largely offline. I would say that consumers were actually already sitting online. The industry was not moving as fast as it could and that attracted me; I like being part of the heavy-lifting phase because that’s when you learn the most, and I personally enjoy that learning. Having done it for the last dozen years, I also backed my ability to do it well. The final factor was that PropertyGuru has a Southeast Asia focus, and I love that fact. Describe the transition when you moved into the real estate market. What were some of the initial challenges? There was nothing unexpected in terms of challenges. We have three customer groups: consumers, property agents, and property developers. Each one has a set of expectations when it comes to digital platforms and our role in the ecosystem. When I looked at agents, developers and the supply-side of the equation, they clearly understood that they needed to be digital and they’re now trying to understand how to best exploit it. As similar to the other industries I was operating in, the “how” is the mystery. They have beliefs that they need to be operating on search engines, social media and perhaps also participating with us. But even then, we’ve been having many discussions to understand what the right solutions for them will be. If you’re a developer or a design-led luxury developer, how you work with a platform like PropertyGuru should be different. It’s the same thing with a consumer; if you’re a first-time buyer, renter, empty nester, or an investor, we have different customer groups. Each of them has different expectations and should have different experiences on our platform. How do you align your company’s vision and mission to the different markets in Asia? A good vision statement is aspirational; it’s like the “North Star” for the company. It’s meant to inspire, and not something you’ll be able to achieve anytime soon. In our case, our vision statement is to be the trusted advisor to every person seeking property. This applies in any market, and not just in Southeast Asia. The mission is to help people make confident property decisions through relevant content, actionable insights, and world-class service. But making a confident property decision is tough. What’s needed is trust. There’s a general sense of distrust because of the quantum of money involved, along with the emotion as well. In these situations, the bar is very high when a person wants to extend that trust to you. So, our vision and mission statements are agnostic of culture. This is regardless of whether we’re dealing with our customers in Singapore, Thailand, Vietnam, Indonesia, or Malaysia. It’s tough in all of these markets but the reason why it’s tough is because it’s different. So that’s where you apply the vision. How is your organisation adapting to the cooling property market in Asia? I think this is the perfect time for a digital company. That is why I love being here. We define ourselves as a high-growth consumer internet company. In a market condition when there’s confusion or cooling measures, that’s when a digital platform becomes most useful. If times are great and bullish; if there’s lots of money to be spent, and if lots of discounts are offered, people spend less time researching and they will typically operate in a different mode. But in a market that is a little ambiguous, it gets a little bit scarier and tougher to make that confident decision. In that scenario, it’s the perfect time for us. I love these kinds of markets because it’s the perfect time for PropertyGuru to build. What are some key workforce challenges of PropertyGuru Group? It’s not unique to us but accessing good technical talent is always tough. We’re a mid-sized company, and not a startup. Even as a technology company and having been here a decade, accessing good technology talent is challenging. We specifically hire technology talent in Singapore and in Bangkok; those are our two tech hubs for the company. Although there is good talent, it’s a very competitive space. Today’s technology talent is not just hired by technology companies. Everybody from financial services to construction businesses, to automotive manufacturers needs technology talent. The number one thing is making sure we build a good employer brand and value proposition for technologists to build their careers in PropertyGuru. Historically, some of the markets in which we operate in have not been known for technology talent. So, a lot of talent is actually coming from other markets. Very often, we have to hire people from other countries to come into our markets. This is changing rapidly and maybe a decade from today, the supply situation will improve. It will still be challenging but it won’t be a supply issue. Today, in markets such as Singapore, we have a fundamental supply problem. You’ve mentioned before that you’re a “digital native”. How have you been driving digitalisation efforts within your organisation? There are three specific things. The first is a focus on focus; doing fewer things and doing them well. Technology and digital organisations in general focus on the delivery of high-quality at high speed. The only way to do that is by doing fewer things. But ruthless prioritisation is hard and that is something I’ve benefitted from learning and developing that skill in myself. I’m definitely trying to bring that to our company. The second is a concentration on automation. Within the structures and processes of a company, how good are we at automating everything? If you talk about speed and the reliability of the delivering something, doing that every time should work the same way. You can only do that if you have automation. The third is a focus on a learning culture. Any high-quality digital company, whether it’s Southeast Asian, American, European or Israeli, they all have this learning culture. There must be a focus on creating an environment to absorb, collect, and process that learning and improving as a company as a result of past activities. What do you think is the biggest disruptor in the property market? I think the biggest disruptor is consumer expectations. Our consumers, whether they are property sellers or seekers, are the same people using Netflix for entertainment, Amazon for shopping, and Grab to get a taxi. That’s how their expectations are being set. They’re going to bring these expectations to the property space and the property sector needs to get ready for them. We’ve been investing furiously in this. Data science is something we invested in about 15 months ago and we’re getting ready very soon for a major machine-learning based solution. How does PropertyGuru Group stay ahead of its competitors? We focus on our customers, and we have a customer-centric approach to our thinking. All our three customer groups are important. We’re trying to make them successful and we’re focused on their pain points. For instance, I also currently run our product organisation inside the company. The way we define our product-management-capability is that we’re in the business of fixing problems, not building products. If a customer has a specific problem, we need to find a solution – that’s the job description. When we’re looking to solve problems, we will use innovative technology when possible. Part Two of our exclusive interview with PropertyGuru’s Hari Krishnan can be found here. Layoffs at Thomson Reuters will trim 12% of the media giant’s workforce, and eliminate 3,200 jobs to streamline the business and reduce costs. Verizon cuts 10,400 jobs out of 44,000 eligible employees in a "voluntary separation program," as part of cost cutting measures. Manulife's Chief HR Officer says there is no mystery about the business case for equality – diverse teams lead to better business outcomes.